Don't you love stacking rings? This one features a cute little heart and can stack with skinny rings to make a statement! This solid gold contour ring is made to fit several of our knotted engagemrent rings, but it can also be worn alone as a chevron ring, or stacked with other stacking rings. 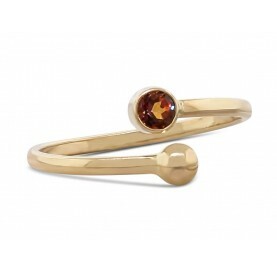 This is a cute little gold pebble ring that would stack well with other stacking rings for a bold effect. This gold bubble on a silver ring is the perfect find for those who love gold and silver jewelry pieces. If you are looking for something unique for a gift, this gold and silver dot ring is the right choice. It is simple and perfect for everyday use. This is a cute little gold bubble ring that would stack well with other stacking rings for a bold effect (see last picture).